This coming weekend is Nedbank Cup weekend, and Maritzburg United proceeded to the last sixteen courtesy of a good win against Black Leopards at Harry Gwala Stadium on the 2nd of March 2016, which was the first victory for the Team of Choice at home this season. “We have definitely prepared in detail and definitely there is certain attention. It’s not finally done, we are waiting for the national team players to come back from Kenya Brian Onyango), Zimbabwe (Evans Rusike), we have to check them out to see how far they are able to be part of the set up, we have to make a decision," said the German tactician. 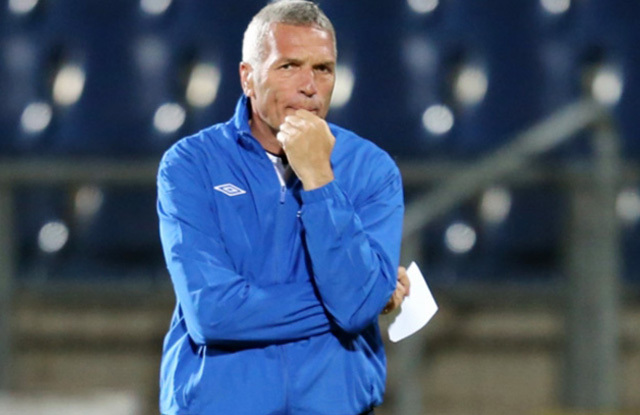 Middendorp is taking the match seriously and will be playing to win, he said “We definitely will do everything to be successful, besides two or three guys that haven’t played in the past, everybody who is part of the team has to take responsibility. We need to do everything to qualify for the next round." He is happy for two of his players who are part of the under 23 National team, “Going to Brazil was a huge experience for Deolin and Kwanda, and also with the Olympic games that are coming. I am also happy for Rusike that he scored for Zimbabwe, and Onyango had a bit of a problem before, i hope it’s not a case of him coming back injured” said the coach. “The league is absolutely something we should never lose our focus on. I know this game is pivotal and crucial against Tuks, but as I’ve always said, I believe it will go to the last two or three games to make the final decision and come out of this position we are in at the moment. We are in a league of three teams, Tuks, Jomo and us. We hope we can win this league at the end of the season on the 21st of May,” concluded the Head Coach.